A young Leicester side began their defence of the Anglo-Welsh Cup with a hard-fought home win over Gloucester last weekend, but they face a tougher test at the Rec against an experienced Bath line-up. The Tigers gave debut starts to four players last week with another two coming off the bench, and three more academy graduates are given their first start on Friday including fly-half Tom Hardwick, who comes in for Joe Ford. Bath are without a raft of international players but are still able to call on first-team regulars in key positions. The pack is led by skipper Matt Garvey, who makes his 100th appearance, while Freddie Burns pulls the strings at number ten. There's a powerful midfield combination of Matt Banahan and Max Clark, while Tom Homer returns from injury at full-back. 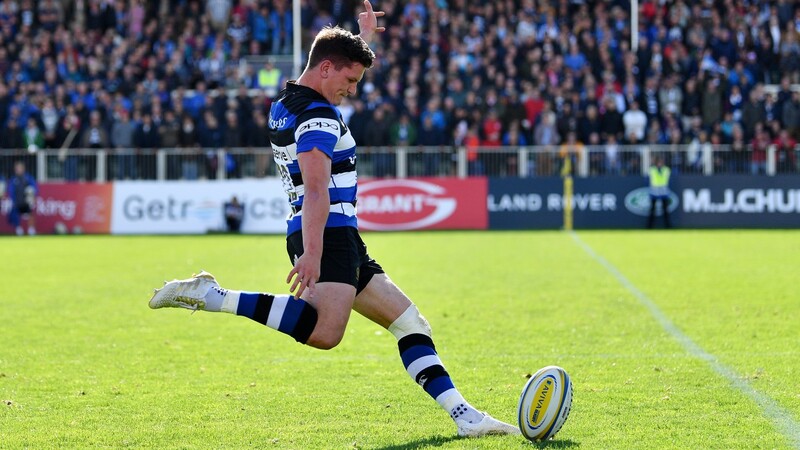 Burns kicked 16 points in Bath's 26-22 victory at Premiership strugglers London Irish last week. Scrum power and strong defence were key factors in that victory and are sure to come to the fore again in a home clash against arch-rivals Leicester. Bath are firm favourites and they should take this with something in hand. Ospreys and Wasps have named fledgling teams for their clash at the Liberty Stadium – six players make their first starts for the Welsh outfit while debutants Jacob Umaga and Connor Eastgate are named at numbers ten and 12 for the visitors. Saracens, pipped at home by Harlequins last weekend, go to Sale.